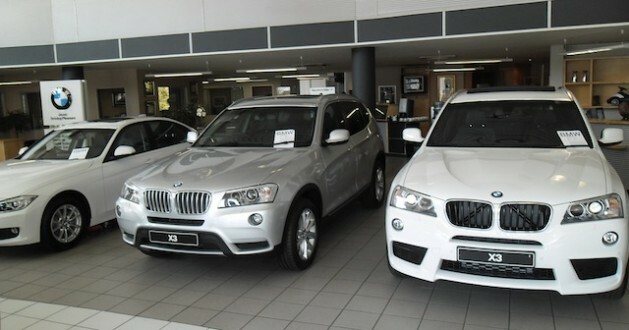 JOHANNESBURG, May 22 2013 (IPS) - The lack of economic diversification throughout sub-Saharan Africa means that despite South Africa’s pledges to help Nigeria make the automotive sector the West African nation’s flagship industrial target, it may be difficult to do so, experts say. Earlier this month, South African Trade and Industry Minister Rob Davies announced the initiative during a visit here by Nigerian President Goodluck Jonathan. It is a move that is seen as an important milestone in inter-African industrial cooperation. However, Peter Draper, a research fellow at the South African Institute of International Affairs, questioned whether this collaboration would develop into economic integration. Is Aid to South Africa Drying Up? “The real question is whether such cooperation could ultimately evolve into meaningful, broader, economic integration rather than the network of mostly hollow shells that currently masquerade as free trade agreements,” he told IPS. Draper said that the African Union (AU) has already developed a number of initiatives for specific sectors, but more needs to be done. “Actually there are quite a few sectoral policies covering, inter alia, energy, communications, transport, and various other integration initiatives. The problem remains implementation, not a lack of plans,” he said. He said that it seemed to be commonly accepted that the AU’s role was to develop and coordinate implementation of a continental “master plan” that integrates these various initiatives. Draper said that the cooperation between South Africa and Nigeria could be an important mentoring initiative for South Africa. “South Africa has been (involved in) auto industry policy development since the mid-1920s and has a lot of experience to draw on and share,” he explained. Minister Davies told the Business Day newspaper that discussions on automotive cooperation with Nigeria were still at an early stage. But while some manufacturers, such as Nissan, might be willing to set up plants in Nigeria, others are more cautious. Bodo Donauer, the managing director of BMW South Africa, said that in his group “production follows the market” and he does not currently envisage a BMW plant being established in Nigeria. “Local production plants make it easier to access and develop new markets with long-term growth potential. Having a local plant also makes the company a ‘local player’ and boosts acceptance of the products locally and underscores our good corporate citizen approach,” he said. “Given the current size of the new premium car market in the rest of Africa, we believe the BMW Group is well-placed with its current global production network to meet any additional demand in markets like Nigeria without the necessity for additional production locations,” he said. Peggy Droidskie, an advisor to the South African Chamber of Commerce and Industry, said that the initiative between South Africa and Nigeria was very welcome, as regional integration in Africa remains high on the development agenda. “Nigeria is a large market, and it is closer to Europe. This proximity to Europe implies that it would be logical for European connections to be used. “The fact that South Africa is preferred (as a partner for Nigeria) indicates that South Africa is very competitive and can accommodate the requirements of Nigeria. It also provides South African manufacturers with an additional footprint in Africa,” she said. Droidskie predicted that some manufacturers who currently operate in South Africa would become interested in setting up in Nigeria. She said that South African vehicle manufacturers are already exporting a significant number of vehicles to Nigeria. And she predicted that this cooperation could expand to other industrial sectors. “If the profile of Nigeria’s imports is taken into account, there is considerable room for an increase in South African exports to Nigeria. For instance, there is room for greater trade in electrical and electronic equipment and machinery.